Hoping to have the remainder core math stuffs locked down tomrrow and a proper update will follow. Now, who can tell what it is? 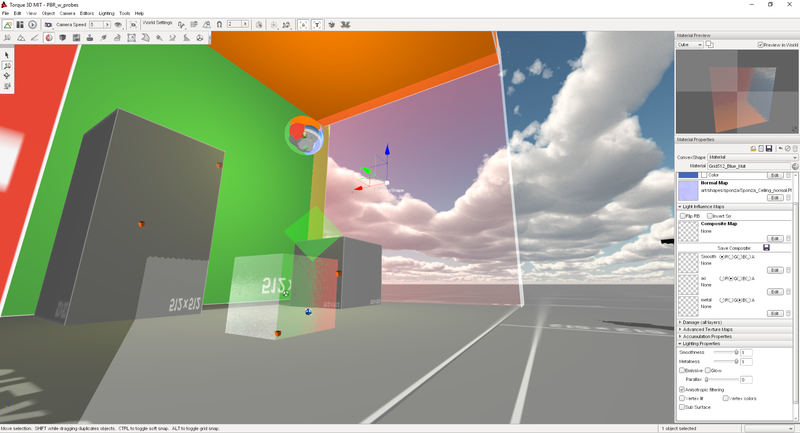 More specifically, it's translucent materials working with reflection probes. 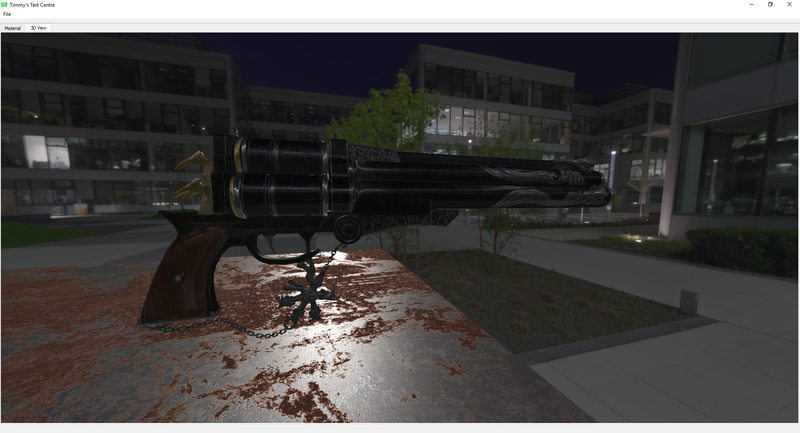 Slightly more generally, this means forward rendered materials working with reflection probes. Ideally, we make the forward materials utilize the exact same math that our PBR deferred materials do, for consistency, but the main focus is probes, because normally speaking, the only forward rendering materials used in deferred are translucent materials, like glass. When I get the math shored up, the glass'll reflect the nearest probes' reflections - parallax corrected just like on the deferred PBR surfaces - and it'll look really nice. Following similar math to the regular PBR materials, metalness infers towards how reflective it is vs how much the diffuse material contributes. Pleasingly, also takes the normals into account, so doing warped glass, or the natural distortion of plate glass is super easy to do as well and should look great in the end. Looking great man! Can't wait for release. Do you have an estimated date when this update will launch? Should have the core work in and polished by the end of the year, so we can see what's left to do then. Another bit of an update, finally made headway on the transparency reflections. Some bits left to do with probes yet, namely having it blend between a few of the most relevent probes on forward materials(like the above translucency), as well as better controlling the fallbacks and doing cleanup and the like. But they're getting pretty close to being done. 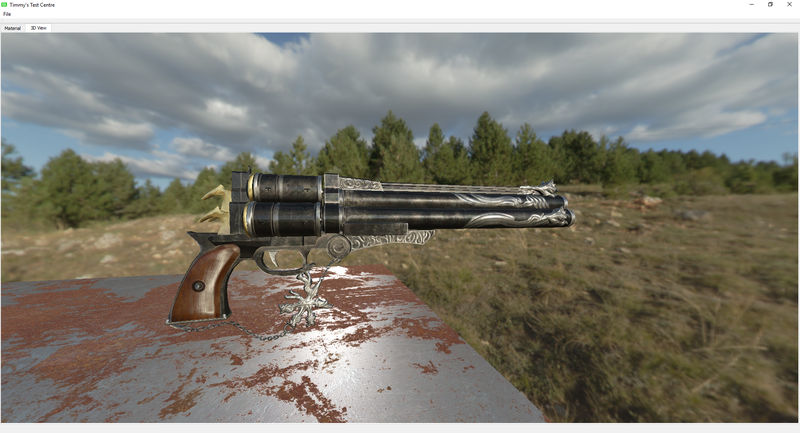 From there, we can port over the differences to the math and PBR is pretty danged close to being ready. Nice work jeff the transparency stuff is coming along really well. I will get to work this week bringing in the other pbr stuff i was doing above, so hopefully we should be really cooking with gas with it all combined.